It’s unsurprising, really, that it’s taken this long for a magazine intern to sue. 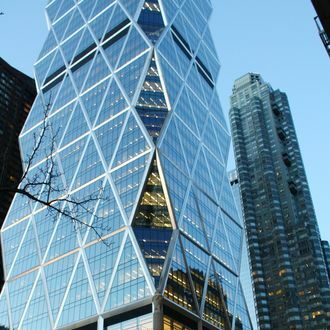 But that’s what Xuedan Wang, a former unpaid intern at Harper’s Bazaar from December 2010 to December 2011, is doing — and she wants to bring a class-action suit in federal district court against the Hearst Corporation, reports the Times. According to the lawsuit, Ms. Wang, who graduated from Ohio State University in 2010, was an intern at Harper’s Bazaar from December 2010 to December 2011 and said she generally worked 40 hours a week but sometimes as many as 55 hours. Her lawyers said that Ms. Wang, with a degree in strategic communications, coordinated pickups and deliveries of fashion samples between Harper’s Bazaar and fashion vendors and showrooms and assigned other unpaid interns to help carry out the pickups and deliveries. The suit contends, more or less, that interns function effectively as entry-level employees without being paid as such — and it’s true that internships are increasingly snapped up by post-graduates who aren’t able to find actual entry-level jobs in the down economy. According to the Labor Department’s guidelines, you don’t have to pay interns if, demonstrably, "the internship experience is for the benefit of the intern,” the interns are not being hired in lieu of paid staff, and the employer derives no "immediate" benefit. Those metrics are particularly squishy, though — the basic idea behind an internship is that, if done correctly, it’s a mutually beneficial arrangement: The employer gets help now, the intern perhaps gets help later if someone he or she worked with remembers them fondly and perhaps gives them a job recommendation. It doesn’t always work that way, of course. Harried managers don’t always remember that intern from three cycles ago when an entry-level job comes across the transom, but we’ll say this for Wang: Her bosses at Hearst will definitely remember her. *For the record, New York and nymag.com pay our interns, in more than just parenthetical blog-post shout-outs.